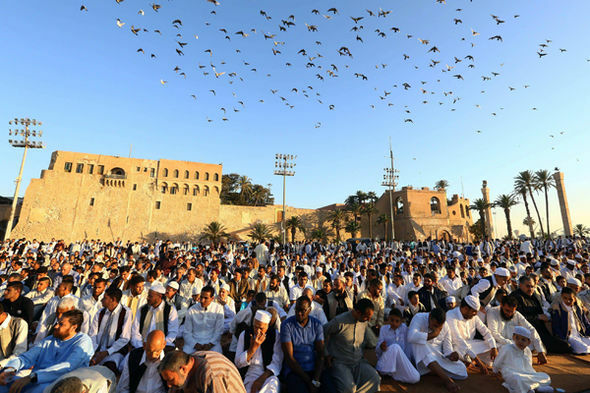 Eid al-Fitr is being celebrated today in the UK, Europe, America and Muslim countries where the new new moon crescent was sighted last night. 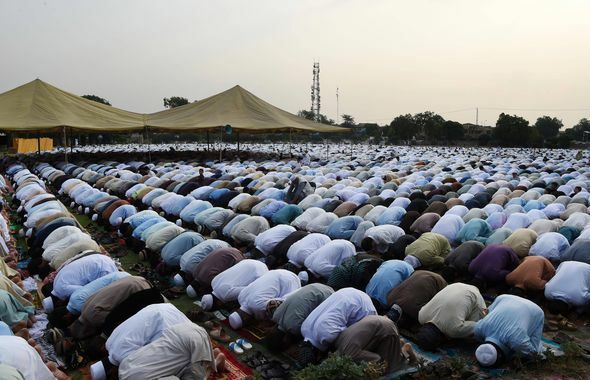 Muslims are celebrating the important religious holiday with prayers as they mark the end of Islam’s holy fasting month of Ramadan. 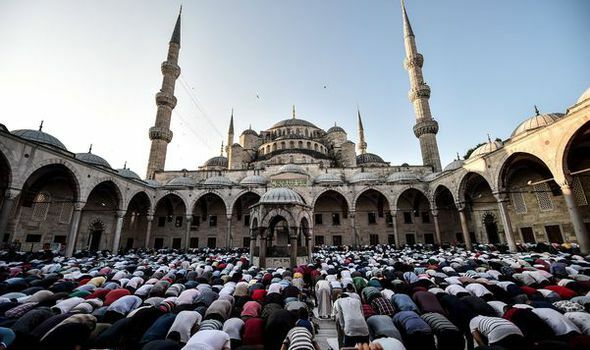 Saudi Arabia, Malaysia, Qatar, Turkey and other Arab countries are celebrating Eid al-Fitr after sightings of the moon on Saturday night. 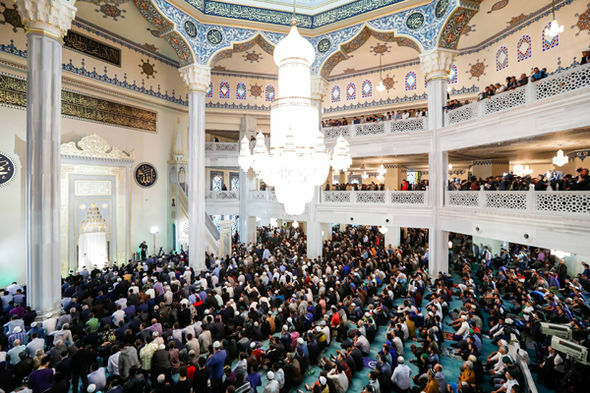 Iran, Oman and several other nations did not see the moon on Saturday night so their first day of Eid al-Fitr will fall tomorrow instead. 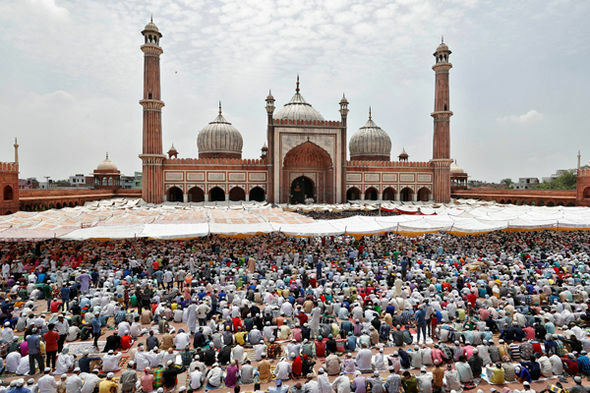 India, Bangladesh and Pakistan are also set to celebrate Eid tomorrow after the new crescent moon was seen shining over the countries this evening. 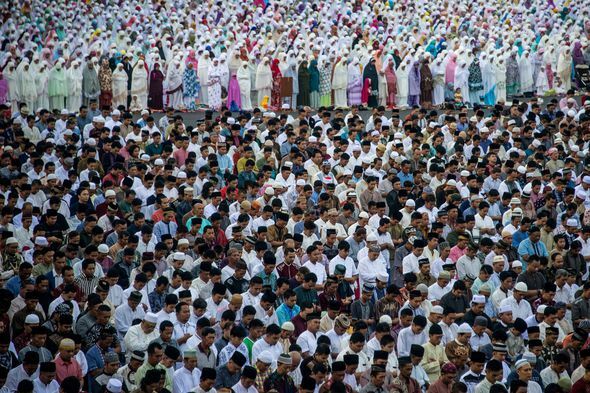 With the UK and most other countries around the world celebrating Eid today, here are some of the most stunning images of Eid prayers and celebrations.